It’s Saturday and I’m stuck at home with a cold when I was meant to be out for a long run around sunny Regent’s Park. FML etc. So to cheer myself up I made another batch of energy balls. 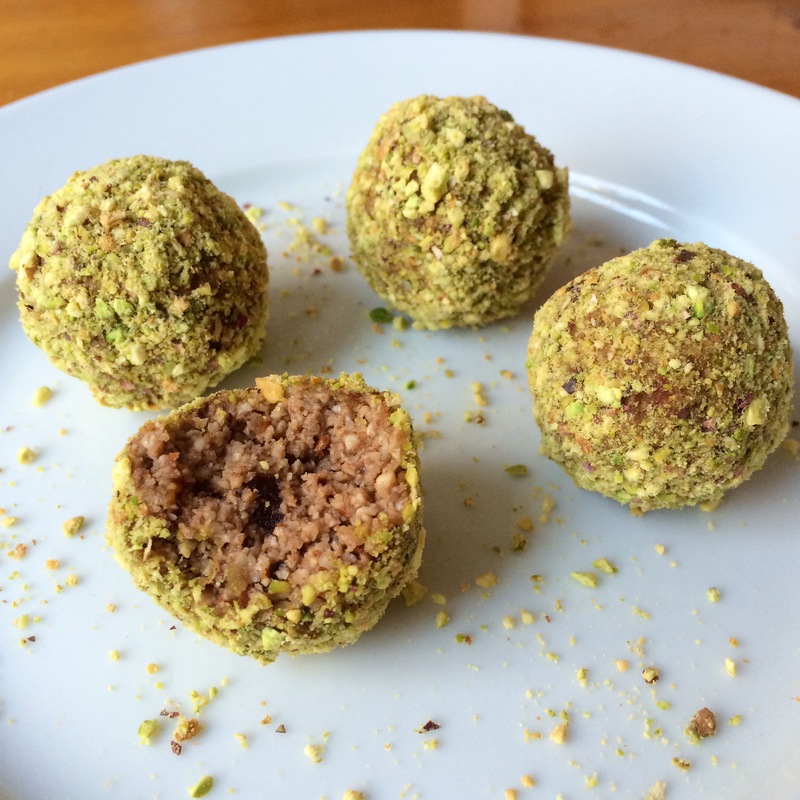 After last week’s mixed nut balls rolled in coconut flakes, I tried for a more minimal flavour this time, using only almonds and cashews, less of the dates and cacao, and rolled the balls in ground pistachios. The result was a beautifully nutty, lighter and less sweet type of blissball. Put everything except the pistachios in a food processor and blitz until you get a slightly crunchy paste. Shape into little balls and roll in the pistachios.